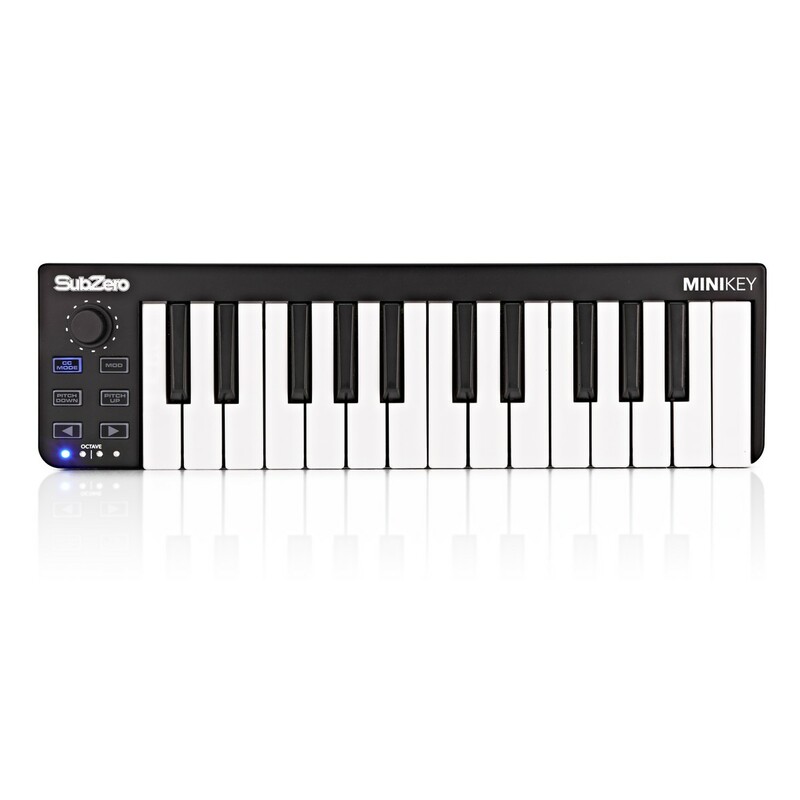 The SubZero MINIKEY is a compact but versatile controller which offers plenty of customisation options with your computer patches. 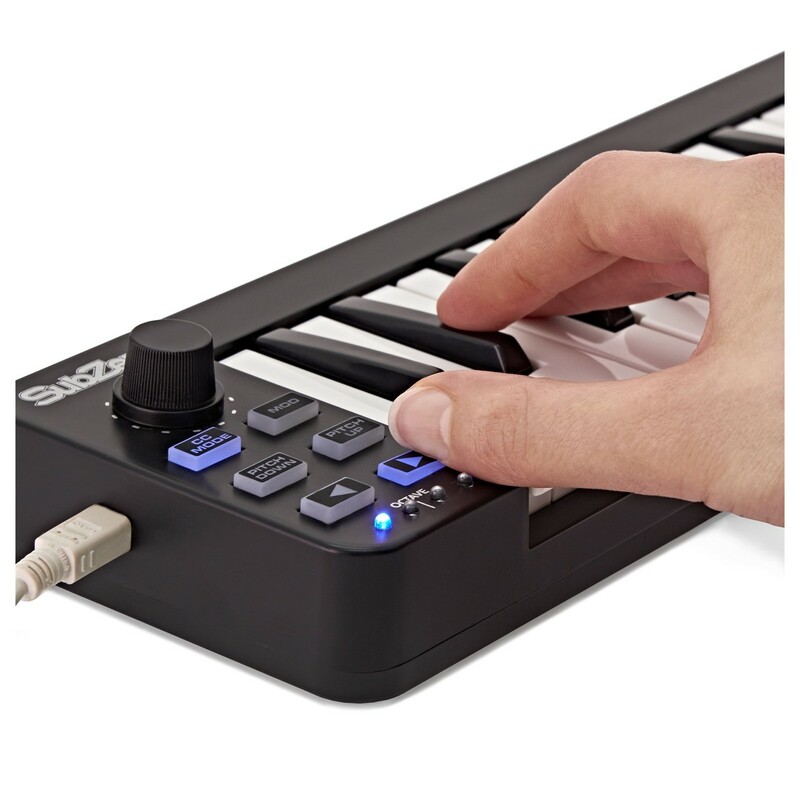 With USB connectivity and compatibility with PC and Mac operating systems, this keyboard is a practical controller for popular music software. 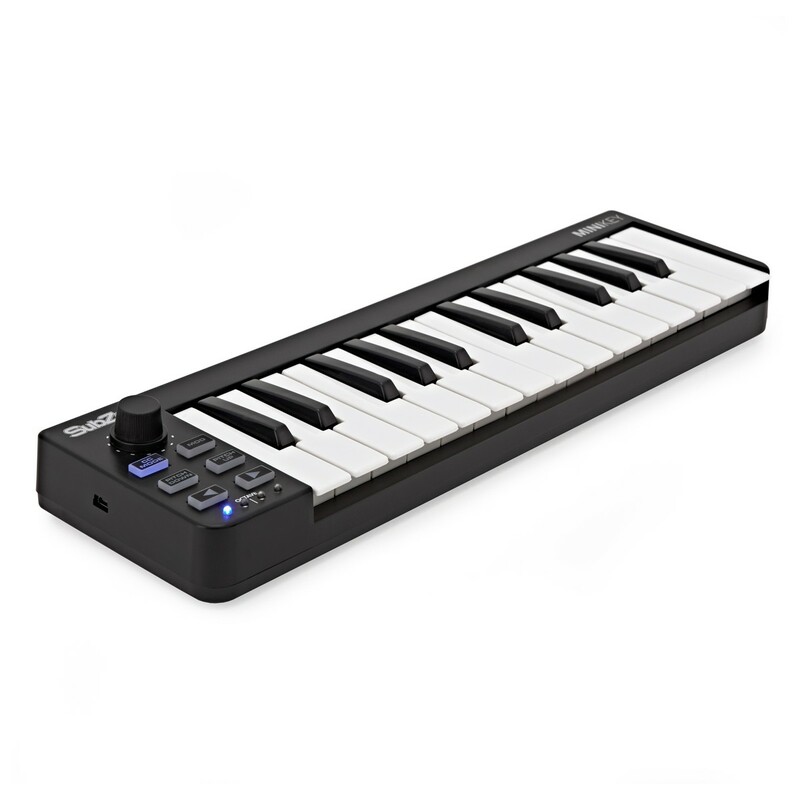 Lightweight and compact, this 25-key, 2-octave keyboard has a simple to use interface which will enable you to get the best out of the patches and sounds you will be using. 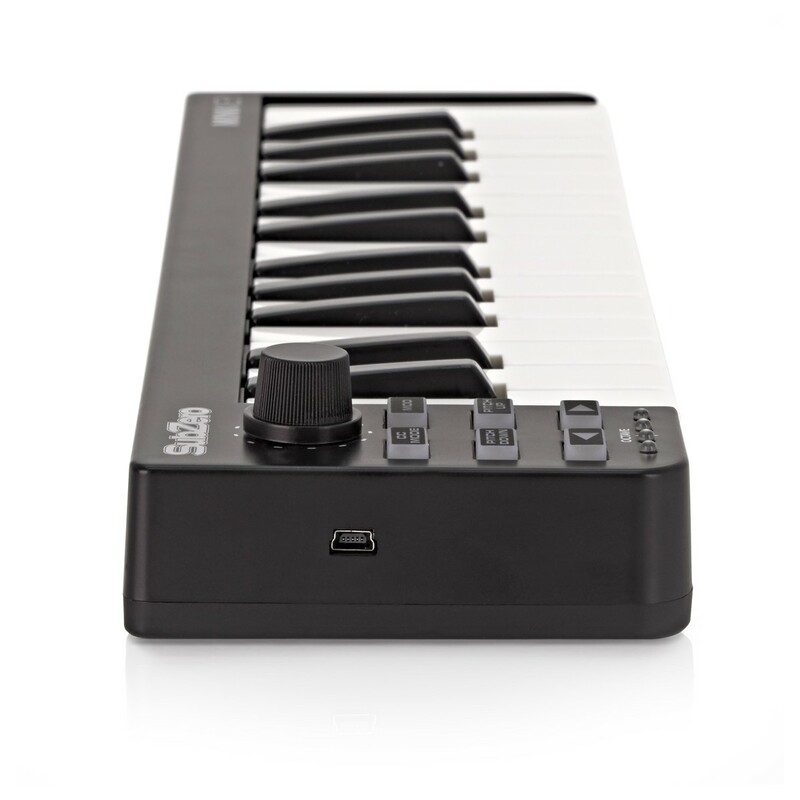 With Pitch Up and Pitch Down buttons, Transpose and four differing levels of velocity, you retain the functions of a regular keyboard, simplified into a format perfect for a digital workstation. Pressing the CC MODE button turns the 25 keys of the keyboard into independent buttons. You can specify which MIDI channel the control change messages will be transmitted on. Then you can select whether or not each key is enabled, the key's behaviour (whether it produces a momentary signal or a toggle signal), and the On and Off value. The possibilities of this mode come to life with music software such as Ableton; where a variety of unusual effects can be created that can inspire innovative new tracks. Need a copy of the driver? See the SubZero Driver Downloads page for all product installs, including the SZ-AI2 driver and control panel. Compatibility with Windows 10/8/7/XP/Vista and Mac OSX operating systems ensures there are very few home and studio set-ups that this keyboard can't handle.